What happens when you put together a group of stylish, friendly and supportive fashion bloggers together? Magic, more specifically the magic of collaboration happens. 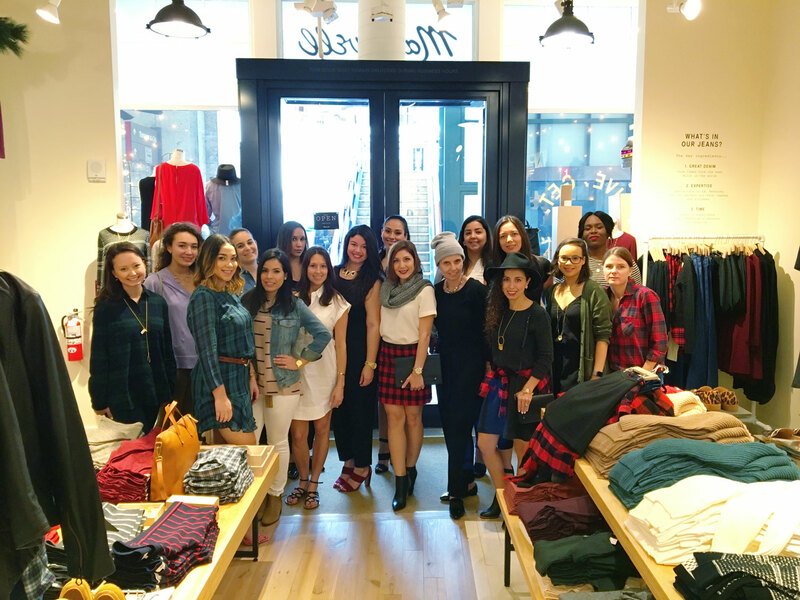 A group of South Florida Bloggers attended a styling brunch at Madewell in Merrick Park and the result was a collection of fashionable outfits for many different occasions. If you want to wear the latest trends with a unique flair, you need to see how these chic bloggers style an outfit. Fortunately, we broadcasted the event live and recorded it all. Now, you can see every outfit that was styled during the brunch in the South Florida Bloggers Katch Me channel. Below are a few of the outfits. Visit Madewell to stock up for all your upcoming holiday events.